I keep stumbling along, bumping into ideas either new to me or reformulated to feel new. Of course, it could be that my memory is so bad I've been there before but can't recall it. Like the movies I check out from a local library only to be told by my better half that we've already seen that one. Much of what follows stems from or was inspired by the pile of books I'm working my way through. The current reading list includes: Graham Riches, Food Bank Nations: Poverty, Corporate Charity and the Right to Food (2018); Richard Falk, Humanitarian Intervention and Legitimacy Wars: Seeking Peace and Justice in the 21st Century(2015); and Barry Knight, Rethinking Poverty: What Makes a Good Society (2017). Sprinkled among these books are countless articles from many sources covering a wide gamut of subjects. Each of these works is trying to address what the author sees as a serious flaw in our current human predicament. They begin with an analysis but they all end up with suggesting new possibilities. While there is much in their analyses that is fresh and insightful (to me), I am more energized by their belief in possibilities beyond our current dilemma. This is the root impetus for the creation of Possibilitator nearly six years ago - to imagine possibilities for a better world. If one is unable to imagine a different/better world, one will likely not pursue any effort to change it. Graham Riches is a professor emeritus and former director of the School of Social Work at the University of British Columbia. He began writing and researching "domestic hunger and the import of charitable food banking" in the 1980s. In this work he brings together that knowledge with a broader look across OECD countries and their approach to addressing hunger. I saw this first hand during my tenure as an executive director of a local food bank, and even now as a volunteer at our local food pantry. Riches gives us a history lesson as well as a deeper social, economic, and political analysis of this development among the wealthiest nations. Ending hunger is still at the top of the list of the UN Sustainable Development Goals agreed to by all 193 member nations of the United Nations including hunger in the developed nations of the OECD. As Riches amply notes, ending hunger via food banking is offering a tailpipe fix of a symptom without addressing the fundamental causes. I am only a third of the way trough the book, but I can see from the chapters titles to come that he won't leave me looking for suggested remedies. 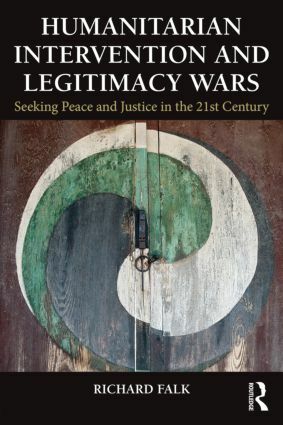 Barry Knight is co-chair of the Working Group on Philanthropy for Social Justice and Peace and the author or editor of14 books on poverty, civil society, community development and democracy. 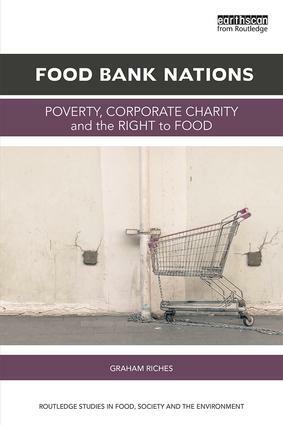 This little gem of a book (161 pages) is based upon extensive research into the causes of poverty as well as the remedies that have been tried. The research was carried out by the Webb Memorial Trust in the UK involving leading organizations, academics, community activists, people kin poverty, children and surveys of more than 12,000 people. 1) We all have a decent basic standard of living. 2) So we are secure and free to choose how to lead our lives. 3) Developing our potential and flourishing materially and emotionally. 4) Participating, contributing and treating all with care and respect. 5) And building a fair and sustainable future for the next generation. Obviously, the research from the Webb Memorial Trust would not have begun if someone didn't believe there must be a better way to eliminate hunger. Believing is possibility is perhaps the first step in any change, either within our selves or for society as a whole. Surely this was the case for ending slavery, giving women equal rights, or recognizing that planting trees might help slow ecological unraveling. The author suggest that the research shows that re-framing the question of poverty away from the negative towards a more positive frame of 'what does a good society look like' has more potential to unleash creativity, find consensus, and offer a way forward. Richard Falk is still pumping out ideas about building a better world via international law and justice as he approaches his 88th birthday later this year. One can visit his active blog to follow his thoughtful and perceptive thoughts on contemporary global issues. In this 2015 collection of essays he delves into the very turgid area of humanitarian intervention. How might we balance the sovereignty of nation states with the 'right to protect'? What might international legal reforms help reduce the need for humanitarian intervention? As informed as he is from his storied career in international legal affairs, Falk still uses the tone of possibility, not certainty in dealing with human affairs. This is refreshing given all the strident posturing that typically goes with the territory. Even in areas where he holds firm moral beliefs, e.g. Israel/Palestine, he recognizes the complexity. As we celebrate the 70th anniversary of the UN Declaration of Human Rights, we should recognize what the imaginative powers Eleanor Roosevelt and other key promoters of the idea brought to fruition by dreaming a better world for all was possible. It's long past time to remove the wet blanket that Margaret Thatcher and her sidekick, Ronald Reagan, threw over our societies that "There is No Alternative" to neoliberalism. Working our way through the possibilities is still difficult and time-consuming work that must involve us all as a human family. The five principles suggested by work of the Webb Memorial Trust listed above which dovetail nicely with the Global Sustainable Development Goals might well give us a place to start to do that work together. It's possible! !